The PACE Program – Are Solar Panels Worth The Trouble in Florida? When a homeowner is looking to upgrade their home to solar energy, the first step is to determine exactly how the project will be paid for Since most people typically do not have thousands of dollars in their rainy day fund, many people will require a loan to finance the upgrades. The PACE program will provide the loan for the homeowner. PACE, which stands for property assessed clean energy, is a new concept in financing home and commercial property improvements. PACE financing is an easy and effective way to finance a range of upgrades that save energy, conserve water, harness renewable energy, and protect against natural disasters such as hurricanes and earthquakes. While PACE programs are enabled by state legislation and approved by local governments, PACE financing is not a government discount or incentive program. PACE financing is a loan that is available in areas where the local government has allocated funds to be used for financing improvements on residential and commercial properties. An authorized PACE lender provides the funds to the homeowner, and the property owner repays the financial institution through an assessment attached to their annual property tax bill. The specific amount of money you qualify for is dependent on the amount of equity in your house. Hundreds of home and commercial improvements qualify for PACE financing. Among the more common are solar photovoltaic (PV) systems, roofing, HVAC systems, impact-resistant windows and doors, drought-tolerant landscaping and many more. The PACE program provides many benefits such as no money down with 100% financing and no payments for up to twelve months. A PACE loan is different than traditional loans because it attaches to the property, not the person. This means that the person who takes the loan can sell their house, and the loan is then paid by the new owner of the house. A loan with zero upfront costs attaches to the property rather than the person, and provides upgrades such as Solar panels, almost sounds too good to be true. Are there any downsides to a PACE program loan? For many homeowners, there have been. Are there problems with the PACE program? Ygrene Energy Fund is one of the bigger PACE program lenders in Florida. A typical PACE loan financed through Ygrene Energy Fund Florida lasts about 20 years with an average interest rate of about 7 percent. The PACE program has a higher interest rate than other green mortgage alternatives such as FHA loans. Borrowers can expect to repay twice the project cost over the payback period. As with any other type of loan, failure to make payments to a PACE loan will end up in a lien, which eventually could result in foreclosure. A property assessment automatically becomes the first lien on any property, putting both the borrowers and the mortgage lenders at risk of losing their money. With the risk incurred by the mortgage company, many lenders will not finance a purchase of a property holding a PACE loan. Many issues have arisen with contractors recommending a PACE loan to homeowners. It has been reported that some contractors charge more money for services that are financed through a PACE loan. There have also been reports of contractors stating that the price of payments on the loan would be offset by the amount of money the homeowner saves in utility bills, which for many homeowners was not accurate. In many instances, the homeowner relies on what the contractor has told them, regardless of whether this information is factually accurate. Should I use the PACE program? Many homeowners did not take the time to read the full contract for a PACE loan, nor did they do the appropriate research to determine if this program was the right program for their specific situations. Some homeowners have alleged that they did not even know that failure to repay the loan would result in a lien on their property. If the house is foreclosed upon, the homeowner will have to pay the PACE loan off in full. If there is any money left over, the lender of the mortgage (if there is one) will be entitled to the surplus. This would leave the homeowner with a very unlikely chance of receiving any money from the foreclosure sale of their home. Is it worth getting a PACE loan for solar in Florida? Yes, and No. The PACE program is not a one-size-fits-all program and should be scrutinized by each homeowner BEFORE they sign the contract. If you understand the PACE program, there are certainly ways to use it to your advantage. The real issues with the program seem to stem from homeowners jumping into a program without fully understanding the long-term contract. After the Solar panels are installed, the reality sets in that the PACE loan is a 20-30-year commitment that can potentially cost twice as much to repay, if the homeowner can make the payments at all. If you are the type of person who reads the terms of service on products you purchase, you should not have any problems with the PACE program, however, the PACE program is not a commitment in which you want to agree to the terms of service without first reading them. “An online notary public physically located in this state may perform an online notarization that meets the requirements of this part regardless of whether the principal or any witnesses are physically located in this state at the time of the online notarization.” See House Bill 409, Page 34, Lines 826-830. “An online notarial act performed in accordance with this chapter is deemed to have been performed within this state and is governed by the applicable laws of this state.” See House Bill 409, Page 34, Lines 835-838. The Bill, proposed by Rep. Daniel Perez, will be considered in the next Judicial Committee, which is the final step before a House Vote. Since proposing the Bill, there have been outbursts of mixed feelings with many people applauding the use of modern technology in the Notary field, and others arguing that Fraud is already on the rise, and this Bill will make it that much easier to commit Fraud. There are many benefits to this system, such as allowing people who are sick or bedridden to have important estate planning documents notarized without having to leave the house, or without having to have a mobile notary come into the home. The Bill would also allow someone on vacation to execute necessary documents without having to wait for days or weeks until they return home. “In performing an online notarization, an online notary public shall confirm the identity of a principal and any witness appearing online, at the time that the signature is taken, by using audio-video communication technology and processes that meet the requirements of this part and of any rules adopted hereunder and record the two-way audio-video conference session between the notary public and the principal and any witnesses. A principal may not act in the capacity of a witness for his or her own signature in an online notarization.” See House Bill 409, Page 34, Lines 839-847. (9) Any failure to comply with the online notarization procedures set forth in this section does not impair the validity of the notarial act or the electronic record that was notarized, but may be introduced as evidence to establish violations of this chapter or as an indication of possible fraud, forgery, impersonation, duress, incapacity, undue influence, minority, illegality, unconscionability, or for other evidentiary purposes. See House Bill 409, Page 36, line 888. This section states that if an online Notary fails to record the Identification conference (or any of the others procedures not discussed in this article), the Notarization is not per se invalid. The Notarization would first have to be discovered, challenged, and then successfully argued and proven to be forged, fraudulent, or otherwise invalid. This would allow for a situation where someone has a friend perform an online Notary without any verifying documents and without recording the conference. The Notarization is not invalid until it is ruled as such; however, the Notary did not record or preserve any of the documents they relied upon. How exactly is a person supposed to prove whether a Notarization is fraudulent if there is not any record? This section could potentially create many nightmares in areas such as Wills and Trusts where the signor may not even be alive, and the Notary did not preserve the record. Perhaps this should be reversed, in that the online notarization should be considered per se invalid unless there exists proper documentation or record to support the identity of the signor. With the help of technology such as video conferencing, many areas of society are moving into electronic means. With the importance of Notarization, and how heavily our society leans on the verification of a signature, perhaps proposed House Bill 409 is a little less restrictive than it should be as the first round of Electronic Notarization in Florida. Whichever way the Florida legislature decides, it will be an interesting story to follow. The Orlando Law Group’s focus on offering full-service law practice areas shown massive support with the opening of a new law office and a dedicated team of attorneys. The opening represents the Orlando law firm’s fourth office in Central Florida. The Orlando Law Group (OLG) announced the opening of a new office in Winter Garden, Florida. This new location strengthens OLG’s greater Orlando presence and offers a convenient location for clients to meet with dedicated attorneys from the full-service law firm. These professionals focus on family law, business law, HOA representation, litigation, personal injury law, probate law, estate planning, and an array of other practice areas. To celebrate the opening of this new, strategically important office, OLG is holding a ‘Grand Opening Ribbon Cutting’ event on April 4th, 2019, from 5 to 7 PM. The ribbon cutting will take place at 5:30 PM. “We are delighted to announce the opening of our new Winter Garden office,” said Jennifer Englert, Founding Partner of The Orlando Law Group. ”This new office is located in an area where we see more and more need for our practice areas. The location will give us space to accommodate our growing staff of attorneys and professionals, and our enhances ability to deliver services into this community. This new office will fuel the continued growth of our firm”, Englert added. The OLG has a history of community involvement, and as Englert points out, the entire staff looks forward to continuing commitment. What is a Lady Bird Deed and why is it beneficial? Florida is one of only a handful of states that recognize a Lady Bird Deed. A person who creates a Lady Bird Deed, also known as an Enhanced Life Estate Deed, transfers property to himself for his lifetime, creating a life estate in the original owner, and names one or more people, entities, trusts, or organizations to inherit the property. The life estate retained by the original owner of the property is enhanced, meaning that the owner retains actual ownership of the property until death, and can change the deed, mortgage, or sell the property as desired during their lifetime without permission or involvement of the remainder beneficiaries. When the owner of the property dies, the property is automatically transferred to the new owner(s) listed on the ladybird deed. A house that transfers through a life estate deed completely avoids probate because it transfers at death, and therefore does not become a part of the Grantor’s estate. Ensures that the property passes to the person or people of the Grantor’s choosing by avoiding probate of the property. Grantor maintains the right to sell, mortgage, or even execute a new lady bird deed to the property at any time, without having to obtain the permission or authorization of the grantee on the previously executed lady bird deed. Does not risk the Grantor’s Medicaid eligibility because it is not considered a “transfer” until the Grantor passes away. Prevents the property from being sold upon your death to repay the Medicaid benefits conferred upon the Grantor, because the property passes to the Grantee(s) upon the death of the Grantor and does not become an asset in the estate of the Grantor. You keep your homestead real estate tax exemption, and the county will not reassess the property to raise taxes. Medicaid is a government program that provides Florida residents with long-term health care coverage. Medicaid benefits are intended for people who can’t otherwise pay for their medical care. To apply for Florida Medicaid, the state’s Institutional Care Program, an individual must provide the Department of Children and Families with a detailed list of all assets. The purpose is to ensure that all available financial resources are used to pay for care before Medicaid funds are used. The value of all qualifying assets, called countable assets, is calculated and used as the basis for creating a Medicaid eligibility waiting period. If a time should come when you require long-term care and you apply for Medicaid, the government will impose a five-year “look back” period on your eligibility. This means you cannot transfer ownership of property within five years of making the application. The extent of your eligibility depends on the value of assets you own at the time you apply. Less is more, and many people erroneously believe they can simply give property away before applying, however, transfers are subject to this five-year period, and assets given away during this time can be pulled back into the value of your estate. Because an enhanced life estate deed allows you to retain control over the property during your lifetime, it doesn’t qualify as a transfer until the death of the Grantor. If you receive Medicaid benefits during your life, then after your death the State will make a claim for repayment from any assets in your estate. The State will not be able to make a claim against any property with a valid lady bird deed because the property doesn’t become part of the decedent’s estate. The property automatically transfers into the ownership of the Grantee listed on the lady bird deed. There are a few tax benefits for a Lady Bird Deed in Florida, such as avoidance of the Federal gift tax. The Lady Bird transfer is an incomplete gift, meaning there is no requirement to file a gift tax return. There has not been an effective transfer during the owner’s lifetime. Moreover, the Florida Department of Revenue assesses minimum documentary stamp taxes on Lady Bird Deed property transfers as long as the grantor of the deed is the same person who retains the life interest. This means that your documentary stamp taxes would only be based upon a sum of $10.00 consideration, instead of the value, or sales price of the home. This can potentially save your heirs a few thousand dollars. If the deeded property is a homestead, there will be no loss of homestead tax exemption and the county will not reassess the property to raise taxes. A lady bird deed, if done correctly, can be a very useful estate planning tool. There are many advantages of using a Lady Bird deed over other types of deeds. If you feel that this type of deed may be beneficial to you, would like more information or would like to discuss other possible options, please give The Orlando Law Group, PL a call at (407) 512-4394. A narcissist is someone characterized as having a narcissistic personality disorder. This disorder is defined by psychologists as a mental condition in which an individual has an inflated sense of self-importance, an insatiable need for outside attention has difficulty in relationships, and has a clearly defined lack of empathy for others. One of the lesser-known defining elements of a narcissist is that despite the outward impression of self-confidence, they possess delicate self-esteem and are easily hurt by even small amounts of criticism. Someone with a narcissistic personality disorder will often have problems in many areas of their life. Narcissists have difficult times in relationships, at work or school, and those difficulties can find their way into other important parts of their life. Because of the narcissist’s need for constant outside admiration, they will often be disappointed in normal relationships and will find them unfulfilling. Because of this, the narcissist will typically seem unhappy, dissatisfied, and disappointed. To be narcissistic means to possess the characteristics of a narcissist. This means they have a constant and unrealistic need for affirmation and lack empathy for others, even those closest to them. It can be difficult to identify someone’s personality as narcissistic. It’s important to understand that narcissism is a scientifically defined mental condition. While it might be easy or convenient to anecdotally classify someone as being a narcissist, for this article, we advise our clients to refrain from using that term unless there has been a clinical diagnosis. While it is important to have someone diagnosed as a narcissist to best understand the situation, there are some signs you can look for if you believe you are in a narcissistic relationship. Here are some of the most common. Your partner or ex has to dominate the conversation. This is because the narcissist wants all of the focus and attention to be on them, with little regard for how others feel. Your partner or ex continually interrupts without consideration for your feelings. Remember, a narcissist lacks empathy and understanding of other’s feelings so they will barge in on the conversation without care. Your partner or ex feels that boundaries or rules don’t apply to them. A narcissist believes they live outside of the rules of appropriate behavior. This means that they will go beyond the boundaries of what is appropriate and feel that they are justified in breaking any rules that govern basic human-to-human relationships. The projection of a false, exaggerated appearance. The narcissist so badly wants to impress those around them that they will often exaggerate many things about their lives. What’s happening here is that they want to convey the message that they are better than everyone else. The narcissist is manipulative. They will use situations and other people to their advantage and strengthen their belief that they are better than those around them. Even under pretense, someone with narcissistic tendencies will “use” people and environments to elevate their position and draw out the attention and admiration of others. Your partner or ex is grandiose. The narcissist has a false sense of self-importance and will portray themselves in kind. Their behaviors will be exaggerated. They will imply that they are heroic and others simply could not survive without them. Your partner or ex isolates you from your friends and is highly controlling. Remember, to the narcissist, it is all about them, and they do not want you to share your attention or affection with others. Your partner or ex likes to spread negative emotions. One of the most potent ways to get attention is to spread negative emotions. These negative emotions could be caused by the smallest of circumstances, real or perceived. This behavior will often throw-off people around them and direct attention to the narcissist. There is much debate between psychologists about whether a narcissist can change. The root of the argument is that narcissism is a personality disorder and typically these types of disorders have more permanence. They are increasingly resistant to change over time. One position is that if a person is diagnosed with narcissistic personality disorder and desires to change strongly enough, they can change. However, we are dealing with the complexities and variances of the human mind, and each person and situation is different. The short answer is that it is not clear if a narcissist can change. How to deal with a narcissistic husband, wife, or ex. Dealing with a narcissist is another complicated question. There are many experts who believe that, especially in the case of an ex, you should completely avoid dealing with a narcissist at all. Especially if you feel that you can change their behavior. The experts suggest keeping the narcissist at arms-length and deal with them as little as possible or as is necessary, in the case of co-parenting. The key to dealing with a narcissistic husband, wife or ex is to understand what you are dealing with. Your partner or ex lives in a world that is all about them, and your feelings or existence have little meaning unless you are paying attention to them, giving them accolades, or giving them affection. If you are comfortable living in that condition, you can then deal with it accordingly. Dealing with a person with narcissistic issues or traits during the divorce process or in an adversarial setting is difficult but doable. The following suggestions are helpful methods as the divorce process alone is daunting, and adding the narcissist as an opposing party escalates the level of difficulty to extremely high. Be prepared to receive several motions and pleadings that will be inaccurate, inflammatory in nature, and in abundance. The first reaction is to respond in anger and try to counter the accusations with your own flurry of emotional responses; however, this type of response may be counterproductive to your goal for the divorce. The best method is to maintain a calm, cool, and collective stance. Meet with your attorney and formulate a game plan to tackle the motions and filings in a manner that places you in a better position when you do need to be in front of a judge. Make certain to choose an attorney with a good skill level to deal with a narcissist. Your lawyer that is drafting your responses, motions and pleadings must be knowledgeable on how to deal with an opposing party that has narcissistic traits. The narcissistic party believes they know more than a lawyer and will attempt to manipulate your attorney. 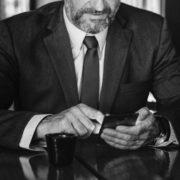 Your lawyer should have the ability to identify the narcissist’s tactics and respond accordingly that will benefit you and get you closer to your desired outcome in the case. Keep your attorney INFORMED. This cannot be stressed enough. Do not doubt your knowledge of your partner or spouse. Because of the increased problems and high emotional stress involved in a divorce with the added issue of divorcing a narcissist, it is suggested that you participate in therapy with a licensed mental health professional that has advanced working knowledge on addressing the ramifications of dealing with a narcissistic partner or spouse. Really try to use the methods and strategies recommended by the therapist to help get through the process. Only use documented or written forms of communication. This is advised for all contentious divorces, but more so in a divorce with a narcissist. You will receive hostile, inaccurate, and harassing communications from the narcissistic party. Don’t respond while you are reeling in anger. WAIT! Consult your lawyer and keep that calm and collective stance that was previously suggested. Remember, every communication has a possibility of being used in court. Communicate in a manner where you think a judge or third-party decision maker is watching and listening. Gather your support together! Your support is your legal team, your mental/emotional support team, and your friends, family and other reliable and trustworthy sources or groups. Meet with your attorney before any hearings or trial. Review methods with your attorney on how to address any triggers that the narcissist may attempt to use to rattle you and impact your ability to get your testimony heard. Unfortunately, co-parenting with a narcissist will require ongoing diligence on your part to ensure the children are insulated as much as possible from the self-serving goals of the narcissist. You will need support. It is strongly suggested to have a mental health professional involved. The therapist or counselor also should be skilled in dealing with narcissistic tendencies or traits from the other parent. Make certain to keep the therapist informed of the issues regarding the narcissistic parent. Ask for help on how to address the problems associated with the narcissistic parent. You will receive information from the children on what the other parent is discussing with them or saying about you. The narcissist will most likely engage in a smear campaign against you and inappropriately share litigation information or adult topics or issues with the children. It is critically important not to respond in a “correction” mode or tell your children the real facts. I know it is hard, but do not involve your children in the parenting aspect of your case. Document what the children are saying to you and discuss it with your therapist and your attorney. Remember, keep your lawyer informed. Encourage your children to be open, honest, and to share. Also, let them know that those conversations are adult problems and the children should not be involved at all. The therapist will have insight on how to address the parenting side of the problems the narcissist will create, and your lawyer will guide you on what to do legally. Use the resources of your support teams. Moving on from a relationship with a narcissist can be difficult, even more so if you’ve spent years in the narcissistic environment. You might have feelings of low self-worth, you might doubt your ability to make others happy, you might unfairly judge yourself. First, realize that it’s not your fault. You were in a situation that actively contributed to making you feel this way about yourself. You’ve gotten out. Now it’s time to move on. You should take time for yourself. It’s time to reconnect with yourself and find the value that you bring to your own life and that of others. Engage in activities that help you regain balance in your life and help build your self-esteem. Sign up for a class that you’ve always wanted, increase physical activity, spend time with family and friends. Reintroduce yourself to the beautiful things life has to offer. In some cases, you might want to consider getting help through therapy. Sometimes just having someone to speak with about the situation can help ease the process of moving on. A professional who can specifically address the situation can be a valuable resource. No matter what, you must move on. You will find “yourself” again and realize that you are the beautiful, miraculous person you were meant to be. What you can do if you think your judge is biased. When you go to court, you can expect that the judge that is hearing your case is impartial and will treat both sides in a fair manner. While having an unbiased judge is almost exclusively the case, there could be a time where you believe your judge is biased. The bias could be towards you or your situation. The bias could also be towards your attorney. You might also believe that the judge displays a lack of impartiality that might favor the other lawyer or litigant. In a situation where a judge is biased or prejudice, the result could be a decision that is not fair or impartial to one party in the case. Often, a judge will identify their own inability to be fair, neutral, and impartial and will recuse themselves from the case. As it relates to the judge, the word “recuse” means that the judge will excuse themselves from the trial or case because of potential bias or conflict of interest and another judge will be appointed in his or her place. When might a judge recuse themselves from a case? An example of when a judge might recuse themselves from a case might be if the judge formerly held a position as a lawyer at the same law firm as one of the attorneys involved in the case. In this example, the professional relationship with one attorney could imply that the judge is biased. Having identified the relationship and potential bias, the judge will recuse or excuse themselves from the case. Can you ask a judge to recuse themselves if you think your judge is biased? The second use of the word “recuse” involves a condition where one party in a case believes the judge is biased and a motion is made to recuse the judge. For instance, if it is learned that a member of the judge’s immediate family could benefit economically from the outcome of a case, the judge might have conflicted loyalties that would make it difficult to be impartial in the case. In this scenario, an attorney could make a motion to disqualify the judge, which asks the judge to recuse himself or herself. The right to a trial by a fair and impartial judge is a right to all citizens. While the vast majority of the time a litigant can expect a fair and impartial judge on occasion, a litigant and his or her attorney may have a reasonable fear that the judge is or may be biased. You and your attorney should be in agreement that the judge assigned to your case may not be impartial. 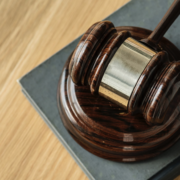 No matter what, it’s important to work with an attorney who knows the strict requirements and timelines in seeking the recusal of a judge believed to be biased, and the steps necessary if the judge fails to recuse himself or herself. Your right to a fair trial is paramount and we will protect that right. What happens to student loans in Chapter 13 bankruptcy? The phrase “student loans” strikes fear in the hearts of most people nowadays. Many are facing high payments coupled with employment that doesn’t pay as expected or as the student had hoped it would. Now what? Chapter 13 bankruptcy may be an option. Why student loans in Chapter 13 bankruptcy could provide relief. It’s a well-known fact that except in rare circumstances, student loans cannot be discharged in bankruptcy. However, if you are struggling to make your student loan payments, filing for Chapter 13 bankruptcy will allow you to reduce your monthly obligation by combining all of your unsecured debt into one category. Your payments to your unsecured debt are then based off what you can afford to pay, given your other living expenses and assets. Keeping student loan companies from garnishing your wages. This can be extremely beneficial for someone who is being harassed or having their wages garnished by their student loan companies. When you file Chapter 13, a hold goes on all creditors while you are in the bankruptcy which provides a 3-5-year repayment plan. You can still pay back some of your student loans in Chapter 13 bankruptcy, but it is only based on what you can afford. If you cannot afford your regular student loan payments, lowering your obligations by paying a smaller amount through your Chapter 13 plan, may be the way to go. This allows you time to increase your income, deal with your other unsecured debt, such as credit cards and medical debts so that your payments to the student loans are more affordable after your bankruptcy. (Keep in mind the interest continues to accrue while you are in the bankruptcy). Increasing debt limits could help Graduate or Doctorate level degrees with student loans in Chapter 13 bankruptcy. It is not uncommon for Graduate or Doctorate level degree to come with $250k worth of student loan debt which only increases when payments are put into income-based payments which barely pay the interest. Debtors may find themselves nearing the debt limits for a Chapter 13 bankruptcy between student debt and long overdue credit card debts or Judgments. The good news is that beginning April 1, 2019, the debt limits in a Chapter 13 Bankruptcy will increase to $419,275 for a debtor’s noncontingent, liquidated unsecured debt. This opens the door for more people to qualify for such a beneficial option when dealing with unmanageable debt. If you think Chapter 13 might be an option to help you deal with mounting student loan debt, contact me for a free consultation. By definition, bankruptcies are legal and financial arrangements designed to provide a person or business with temporary relief from their debt. The bankruptcy gives the individual or company (referred to as the debtor) time and flexibility to better organize their ability to pay their debt and other financial obligations. Part of the process typically includes the creation of a plan to fulfill certain financial obligations. There are also specific situations where debts are entirely eliminated. Clearly, bankruptcies should be considered as an option after other opportunities to relieve the debt have been explored. For example, it is usually advisable to attempt to negotiate with creditors before considering bankruptcy. While bankruptcies are incredibly complex, there are things that individuals and businesses can do to make the process less complicated. It’s critical that those considering bankruptcies go through a detailed planning process. Also, a recommended first step is enlisting the professional help of an attorney and a financial advisor. In the US Legal System and in bankruptcy court there is an essential difference between bankruptcies and bankruptcy protection. Put simply; bankruptcy is the process a person or business follows when they can no longer satisfy their debts. Bankruptcy protection refers to the condition where. During and after the bankruptcy, a company or individual has financial protection from their creditors. What steps should I take before filing for bankruptcy? When preparing to file, the more organized you are, the easier things can be for you and your attorney. Here are the efforts we recommend doing, and in some cases, not doing, as you prepare. Do: Determine the type of bankruptcy you should file. Bankruptcies come in several types, including Chapter 7, where most of your debts are forgiven and Chapter 13 which involves restructuring your debt into a manageable payment plan. Your lawyer is the best source of advice on determining which makes sense for your situation. Your lawyer may have you take a Bankruptcy Means Test to assess your ability to pay your debts. The results of this test could eliminate your qualification for filing Chapter 7 bankruptcy. Do: Enroll in a credit counseling course. You may be required to take a credit counseling course either in person or online. Work with your attorney to determine which is best for your unique circumstances. Do Not: Go on a spending spree. Many people inaccurately believe that all debt will be forgiven when you file for bankruptcy. The reality is that all of your debt will be examined and an appropriate course of action will be determined. When your debt is reviewed, the bankruptcy court will become aware of any significant spending you might have done before filing. A large amount of what could be seen as unnecessary spending might not work to your advantage. Do Not: Conceal the truth. Ultimately, the only way to get out of an impossible financial situation is to be truthful and honest about how you got there. When you work with an attorney, the more they know about your situation, the better they will be able to help you. It is entirely possible for many people to avoid bankruptcy and bankruptcy court. The most significant benefit to avoiding bankruptcy court is that you will preserve a higher credit rating. One of the ways you can avoid bankruptcies includes working directly with your creditors to organize a plan to satisfy your debt. Another strategy might be to sell non-essential items that you own and use the money to pay off debt. There are other tactics that should be explored, working with an attorney can help uncover all options that might exist for you. Do I need a lawyer to file? Facing overwhelming debt can be a frightening experience and could be a source of embarrassment for many people. You might not want to share details with family and friends, and that’s ok. But you don’t have to deal with the situation alone. Because bankruptcies can be quite complex, it can be to your benefit to hire an attorney early on. The attorney can help guide you through the process, work with you on deadlines and paperwork, negotiate with your creditors, and help make the process easier than going at it alone. Ready to speak with an attorney about your options? You can contact us to schedule a consultation. Over the years I have received countless inquires from parents whose child has been bullied at school. There is never a specific formula, and the results of the being bullied are always different. 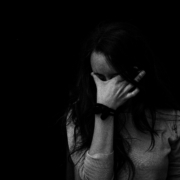 Sometimes the acts are verbal, sometimes it is cyberbullying, sometimes it is physical, and in a few cases, the bullying has involved allegations of sexual assault. Regardless of the type, bullying is not right. Nobody deserves to be bullied. Nobody. It does not matter if you act differently or if others view you as an outsider – nobody deserves to get bullied ever. Florida passed an anti-bullying law in 2008 as a measure to prevent bullying. See Fla. Stat. Chap. 1006 et. seq. This law requires schools to establish anti-bullying programs and policies aimed at reducing bullying in schools. Any parent who has seen their kid get bullied can see the physical and emotional strain that bullying puts a child through. Further, if there are threats or a physical touching (including hitting, shoving, or sexual assaults), then there is a potential criminal aspect to the bullying. Unfortunately many times it is difficult for law enforcement to prove that a crime happened, so they pass on pressing charges against the bully. However, just because there are no criminal charges brought against a bully, there is a possibility that the victim can bring a civil claim against the bully. My office has handled numerous cases of bullying and prides itself in giving a victim a voice. Many times bullying claims involve multiple parties who can be held liable for the bully’s actions. This includes the bully, his or her parents, a school, or any other individual or entity who permits bullying to occur (including a daycare, afterschool care, babysitter, etc.). There may also be multiple causes of action that can be brought such as negligence, negligent misrepresentation, and negligent supervision. Many victims and their families are unaware that schools and daycares have a responsibility to supervise children and to take specific measures to safeguard the students that they watch. When a school or daycare fails to protect a victim, they can be held liable for the child’s injuries. A bullying case can become very complex quickly. Often there may be a claim against a governmental entity that should be brought in connection with a claim against the individual bully. Florida’s sovereign immunity statute (Fla. Stat. 768.28) applies in cases brought against a public entity (such as a school) which could limit the liability of the school. The statute also imposes certain notice requirements that a victim must provide to the state before bringing the claim. Having an experienced attorney on your child’s side after they have been bullied can level the playing field. 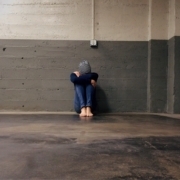 Although no amount of compensation can serve to fix the wounds incurred by bullying, a successful claim can help to pay for future therapy or other treatment to help the victim deal with both the emotional and physical scars from bullying. Further, and perhaps most importantly, bringing a claim against a bully will serve to make a statement against other bullies and, hopefully, cause others to rethink their actions. The ability for a victim to bring a civil claim against a bully is one tool that we can use in the fight to end bullying. Further, many times bullying claims can be brought confidentially so that the general public does not know the identity of the victim. If you, a loved one, or someone you know has been bullied, I would invite them to contact our office for a free and confidential conference with an attorney who can assist with their claim. It is never too soon to call as many times time is of the essence in these cases. Further, there is no obligation to speak with an attorney. 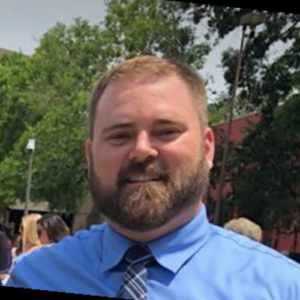 Brian Dunmire is a personal injury attorney with The Orlando Law Group specializing in the representation of injured parties. Brian only represents clients who have been injured as a result of someone else’s actions. Before devoting his practice to personal injury, Brian represented large insurance companies in defending their insureds when they were sued. Brian takes a particular interest in bullying claims and would invite you to contact him to discuss your potential claim. Please feel free to contact Brian at (407) 512-4394 or bdunmire@www.theorlandolawgroup.com. Brian handles bullying and personal injury cases throughout Florida. People hear the words Probate Law and automatically get fearful of what they think it means. Probate law is a court-supervised process where often the courts will appoint an administrator. They are responsible for administering the estate. This includes identifying and gathering the assets of a deceased person (decedent), paying the decedent’s debts, and distributing the decedent’s assets to his or her beneficiaries. An example of distributing an asset might be where a decedent has a real estate asset that is granted to a family member. That family member will take legal possession of the real estate asset. Estate planning organizes for the distribution of a person’s estate once they pass away. Put simply, all of the assets owned at the time of death will be distributed based on the will, trust or estate plan. Assets in a person’s estate might include real estate such as houses and investment properties. Assets might also include personal property like stocks, bonds, bank accounts, cars, jewelry, etc. Estate planning is a complex endeavor and is most appropriately handled by a professional, like an estate planning lawyer who will work collaboratively with financial advisors, insurance specialists, accountants, and other professionals in the planning of the distribution of assets. 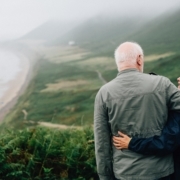 Estate planning benefits people with estates of all sizes in that it allows the individual to decide exactly how their assets will be distributed upon their death. Regarding personal property, the individual can decide who should get specific assets, like a house or bank account. This makes everything very clear and prevents unnecessary arguments between the estate’s beneficiaries. Further, estate planning can benefit the children of the decedent. With proper planning, the children of the deceased can be taken care of to ensure they maintain their quality of life. Typical questions that our probate lawyers hear include: Does probate mean I have to wait years for the distribution of assets? Does this mean I will be responsible for debts of my loved one? Will the courts make me do something I don’t want to do? Will this cost me even more money? I lost my loved one why do I have to go through this? If a will does exist it may make probate run smoother. However, if a person dies in Florida without a valid will, all assets will have to be decided by the court and state laws once heirs are established. What are claims against the estate? A “claim against the estate” references a claim for money, assets, or other property that an individual has against the estate of a decedent. For instance, if the deceased person owes money to a person or entity, it is the responsibility of the executors or administrators of the estate to pa that debt. Claims against an estate must be filed with United States Court that is handling the local probate or with the estate administrator. What is the role of a probate attorney? The attorney will file motions, guide and advise the client (Personal Representative) how to proceed. The attorney is the communicator to the court on behalf of everyone involved. 1. Collecting and managing life insurance proceeds. 2. Getting the decedent’s property appraised. 3. Finding and securing all of the decedent’s assets. 4. Advising on how to pay the decedent’s bills and settle debts. 5. Obtaining an Estate Tax id number and estate bank account. 6. Determining whether any estate taxes are owed. When there is no will your estate is distributed according to the intestacy laws of the state where the property resides, regardless of your wishes. The law does not always follow the path you would expect especially in situations where there are blended families. In some situations involving probate law, a probate is not necessary when there are IRA’s, 401 K’s, Life Insurance and other investments with beneficiaries. Some people also use Lady Bird deeds, trusts, accountants that are payable on death and other vehicles to avoid probate entirely. In short, there are many different scenarios that go into an estate plan and probate, and each circumstance has exemptions especially in situations with blended families or extended families. It is wise to get your estate plan done by an attorney rather than getting forms on line so that you can look at all the scenarios and plan appropriately. Then at the time of probate, an attorney for the estate is required by the Court. We highly recommend talking with a probate law and estate planning attorney to make sure the wishes you have for your estate should you pass away are fulfilled. Orlando, FL (January 14, 2019) – The Orlando Law Group is continuing on their path as one of the top 500 fastest growing law firms in the country with the addition of three new attorneys to their team. Cameron White is an experienced business and real estate attorney who was a golf professional prior to law school. 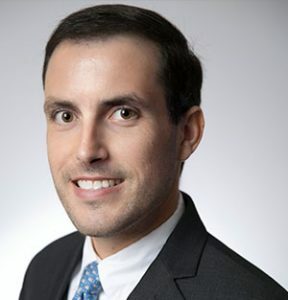 White has a broad transactional background with a focus in business and real estate transactions, including commercial and residential sales, purchases, leases, financing, and loan workouts and restructuring, as well as experience with intellectual property including licensing and trademarks. Representative clients include private investors, golf course owners/operators, developers, lenders, and business owners. He continues to build his practice by fostering and nurturing meaningful, congenial relationships. Mary Zogg has been a practicing attorney for over a decade. She has a multidisciplinary background which helps to provide a unique experience for her clients. She has an undergraduate degree in psychology and a Masters in Business Administration in addition to her law degree. This allows her to provide her clients with a full vision of the financial, emotional, and legal aspects of their cases. Jessylin Polo Wiederhold has always been an active member in her community with a passion for making a difference in the lives of others. Originally from Miami, Florida, Jessylin is fluent in both English and Spanish. She began her legal career as a paralegal in personal injury for eight years. 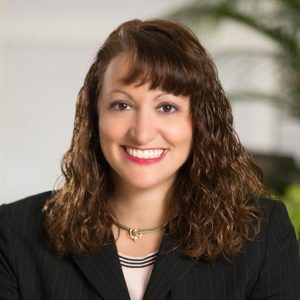 Jessylin now brings her passion for serving others to The Orlando Law Group in the areas of personal injury, PIP, and business law. 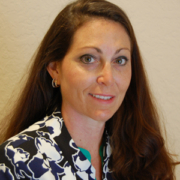 She is an active member of the Florida Bar and Central Florida Association for Women Lawyers. 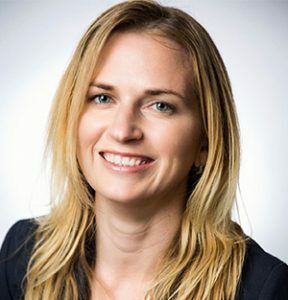 For the past ten years, The Orlando Law Group has earned a reputation as the Orlando-area law firm that cares about its clients and the communities it serves. 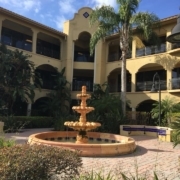 Offices located in Waterford Lakes, Altamonte, Lake Nona, and Winter Garden. An appeals court in Miami Beach has overturned a temporary injunction that prevented the city from cracking down on short-term rentals like Airbnb Miami Beach properties. The injunction was a small victory for Airbnb in a bigger fight against the city that has the potential to put hundreds of home-sharing hosts out of business. 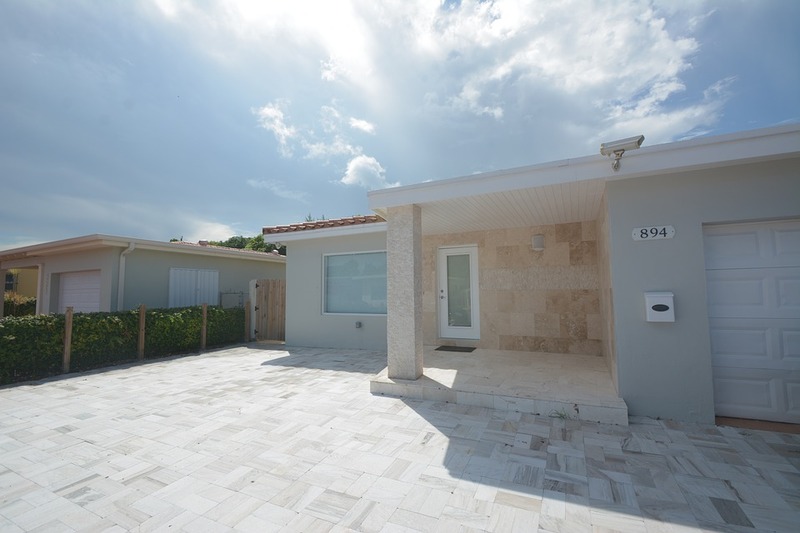 With the injunction overturned, the city of Miami Beach Code Enforcement can now investigate and fine home owners who offer part or all of their property as short-term rentals through websites like Airbnb and other home-sharing portals. As of the end of 2017, the city had issued more than $6 million in fines, but only managed to collect a small fraction of that, totaling just over $100,000. Recently the action against homeowners has taken a bizarre twist and crossed beyond monetary values. Miami Beach homeowner, Ralph Serrano, recently had his home’s water and electricity shut off by the city of Miami Beach when he refused to pay fines for operating an Airbnb in the city. In November, Serrano filed a lawsuit against the city and cited that the city used “strong-arm tactics” in their efforts to collect “constitutionally excessive fines” that summed to more than $200,000. 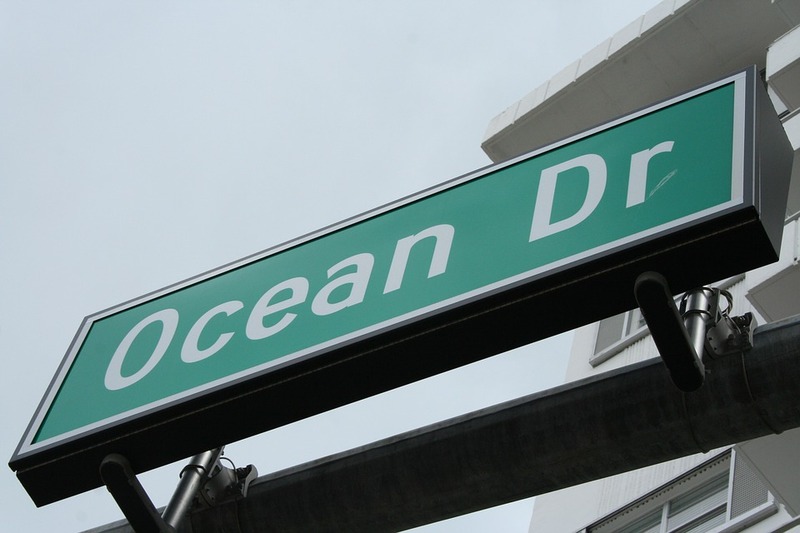 In early December a district judge ordered the city of Miami Beach to restore the utilities to the property. Before filing the lawsuit, Serrano attempted to communicate with the city about getting his utilities restored. When he did, city officials demanded he, among other things, ask Airbnb and other short-term rental websites to permanently remove his rental listing. Serrano notes that in the city zoning ordinance that permits Miami Beach to target homeowners who list their properties on Airbnb, nowhere does it say that the city can terminate utilities or request homeowners remove their rental listings on home-sharing websites. Airbnb is the world’s largest home-sharing or accommodation-sharing website. Through the website, property owners list their spare rooms or entire homes for rent to website visitors. The properties are listed in the Airbnb marketplace and are accompanied by descriptions, pictures, ratings, and reviews. The website launched in 2009 and as of last year, helps over six million travels a year find accommodations among the 800,000 properties spread across 35,000 cities in close to 100 different countries. Through the Airbnb marketplace, people rent out their properties to guests. The transactions are handled through the marketplace and Airbnb profits by taking 3% commission on each booking from the owners. Airbnb also takes between 6% and 12% from guests. This arrangement allows homeowners with spare space, or unused homes, to make a substantial income while guests can stay in desirable locations for a fraction of the cost of high-end hotels. Airbnb is used by a variety of demographics, from the average traveler to celebrities. For example, in 2016, celebrity Kylie Jenner rented a Miami Beach villa from Airbnb. The Hibiscus Island villa is worth more than $12 million, and the Airbnb rate is $8000 per night during the city’s Art Basel event. We’re guessing nothing was available on Star Island. What are the legal issues with Airbnb Miami Beach? 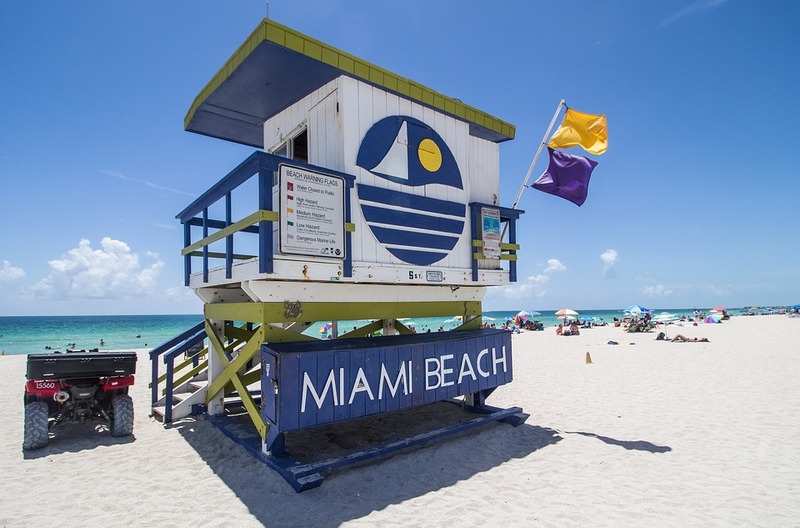 According to the city of Miami Beach, vacation and short-term rentals are those in which the accommodations for a guest or group last less than six months and one day. While a popular alternative to traditional accommodations at hotels and resorts, there are some limitations that need to be considered. 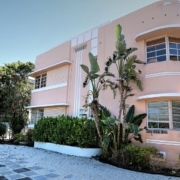 Pursuant to the Miami Beach City Code (Sec 142-1111), home-sharing, vacation, and short-term rentals are prohibited in all single-family homes and in a majority of multi-family homes in certain zoning districts of Miami Beach. Here’s a map showing the short-term rental limitations. If a property is discovered to be illegally operating a short-term rental, the guests and owners will be immediately evicted. From there, fines starting at a wallet-thinning $20,000 will be levied. Why does Miami Beach want to prevent short-term rentals like Airbnb? There’s a heated political conversation about wither services like Airbnb are harmful to the economies of urban areas. At the same time, others are shining the spotlight on Miami-area officials who are driving to protect the area’s behemoth hotel industry. That’s a position that might have some traction. In 2017, leaked emails from then-Mayor Thomas Regalado’s office showed evidence of coordination with hotel lobbyists looking to implement a ban on short-term rentals. In any case, the bans, restrictions, and fines appear to be here to stay. Where does Airbnb go from here? Could that be the foothold Airbnb and others need to gain traction in this scrimmage against the city of Miami Beach? Time will tell. While we wait for the outcome, our advise to you, if you are planning a trip to Miami Beach, is to be excessively cautions if you elect to use Airbnb. The last thing you want is to come back to your crash-pad from a stroll on the Lincoln Road Mall to find the power out and your belongings, and you, evicted from your accommodations. Chances are slim that Kyky will let you crash with her and her entourage on Hibiscus Island. Invasion of Privacy? Are your conversations recorded and saved? “Smart speakers” raise concerns about invasion of privacy. The in-home integration and use of a device known as a “smart speaker” or “voice-controlled digital personal assistant” is rapidly growing. But new information about how companies like Amazon monitor, listen, record, and save your personal conversations, even when you are not specifically using the device, is raising invasion of privacy concerns. In New Hampshire, a judge has ordered Amazon to hand over two days worth of recordings captured by an Amazon Echo. The recordings are to be used as evidence in a double murder case. More on that in a moment. 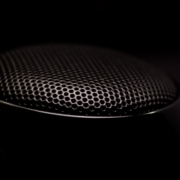 A smart speaker is a wireless speaker that responds to voice commands. The software of the internet-connected device functions as an integrated virtual assistance that can be activated or woken up through the use of a “hot word.” Amazon produces a device called the Amazon Echo, or “Echo”, that has a virtual assistant named Alexa. Alexa is activated by simply saying her name. For instance, a user might say “Alexa, play classic rock music” and the smart speaker will respond by playing selections of classic rock like Led Zeppelin and Styx. Since the Echo is integrated with Amazon, a user could also say “Alexa, order more espresso,” and the Echo will organize an order for a predefined brand of coffee from Amazon. Amazon is not the only company with a smart speaker. There are, in fact, over a dozen. Another popular smart speaker is the Google Home. The virtual assistant in the software of the Google Home is known as the “Google Assistant” and is activated by the hot word “Hey Google.” Many of the same functions found in the Echo also exist in Google Home, though integrated Amazon ordering is missing. Smart speakers can be used as Bluetooth devices for streaming audio from other devices. 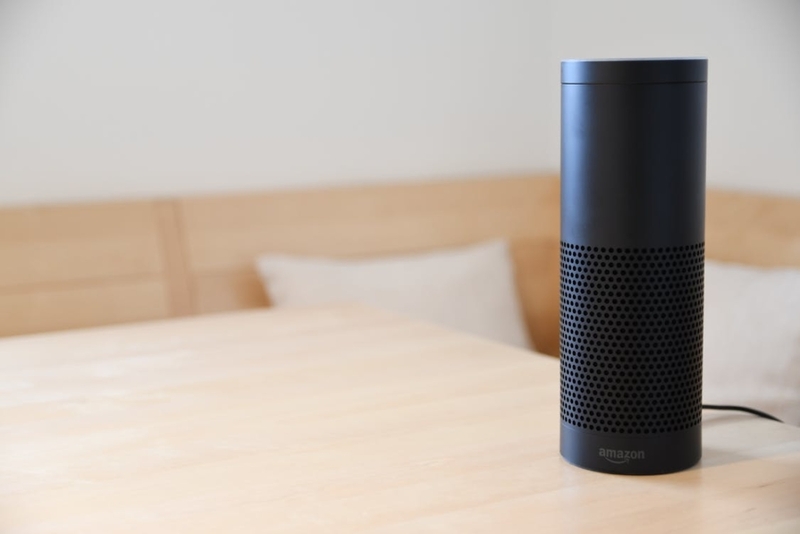 Further, a smart speaker can also integrate with home automation, making it possible to say “Alexa, turn down the lights” resulting in the recessed lighting throughout the house dimming a bit. What we are learning is that there is a misconception that if you do not wake up the device with the hot word, the device is dormant and in a near power-off state. We’ve discovered through court cases and Amazon’s own biannual transparency report that these devices are likely recording everything their microphones pick up, 24 hours a day. Moreover that data, once recorded, is saved on a server that Amazon controls. Is this invasion of privacy? Maybe, maybe not. Let’s first look at the New Hampshire double murder case. 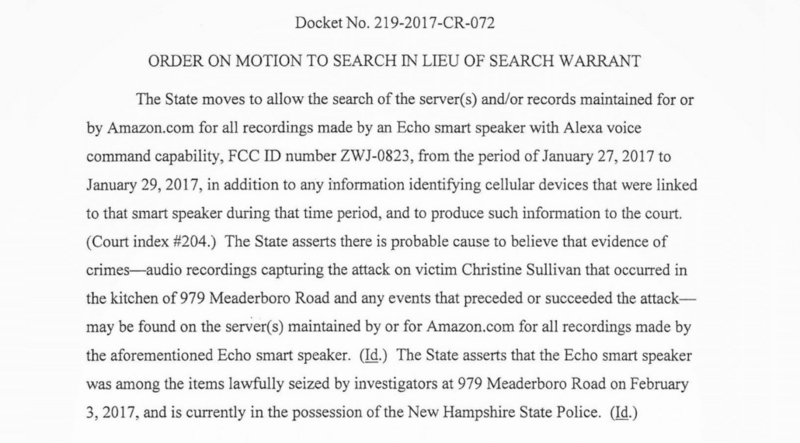 The New Hampshire judge that has ordered Amazon to turn over two days of Echo recordings is doing so because prosecutors in a double murder case believe that the recordings contain details of a January 2017 murder of two women. Those details might lead to further clues in identifying the killer. The judge has also ordered Amazon to hand over “information identifying any cellular devices that were linked to the smart speaker during that time period.” This could provide further evidence into who might be responsible for the murders. It’s possible that a Bluetooth connection was made from the Echo to a suspect’s phone. Even if that connection was not fully realized, there could be fragments of evidence stored in the data from the Echo. This is not the first time Amazon has been ordered to turn over archived recordings. In Amazon’s transparency report, the number of orders and warrants that Amazon receives is published. While the list of orders doesn’t specifically break out orders for Echo data, it would be possible to correlate requests to Amazon to published court orders. But what does this mean for your personal and private conversations? Are smart speaker’s recordings an invasion of privacy? The easiest way to prevent smart speakers like the Echo or Google Home from collecting your data is to not use the devices in the first place. Clearly an oversimplified suggestion. An alternate approach might be to consider reviewing the device’s privacy configuration and settings that are available to you. These settings can go a long way in preventing unwanted eavesdropping and personal data collection. For example, Echo users can turn off the most vulnerable component of the device, the microphone. This, of course, will disable any virtual assistant functionality. More effective would be securing the “Drop-In” settings. The “Drop-In” feature allows other Echo devices to connect and start a conversation, making the system a virtual intercom. Since this is clearly a privacy issue, locking down those settings can prevent unwanted parties from listening in on your conversations. Medical Malpractice Lawyers On Florida Surgeon Who Removed A Healthy Kidney, Thinking It Was A Tumor. In a complaint to the Florida Health Department against a West Palm Beach surgeon, it is cited that during surgery, the surgeon mistook a woman’s healthy kidney for a tumor and errantly removed the organ. The complaint cites that the patient was undergoing a routine back surgery when the surgeon “noted a pelvic mass and provided a presumptive diagnosis of a gynecologic malignancy, lymphoma, and/or other metastatic disease.” The surgeon decided to continue the procedure and, additionally, remove the presumed tumor. About a week later, a pathologist confirmed the pelvic mass that the surgeon removed was, in fact, a healthy kidney. The patient sued the surgeon for medical malpractice, and the case was recently settled. 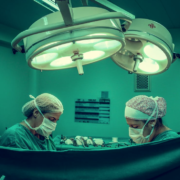 Medical malpractice is an instance of improper medical care when a doctor, surgeon, health care professional, or hospital causes an injury to a patient through a negligent act. This could include diagnosis errors, negligence in treatment, aftercare or during health management. When should a patient seek consultation from medical malpractice lawyers? Medical malpractice can sometimes be very clear and other times will require due diligence and investigation. Seeking advice from professionals like a lawyer who specializes in medical malpractice is an advisable first step. If you suspect that you or a family member has suffered an injury resulting from medical malpractice, we advise that you consult a medical malpractice attorney that is experienced in that area of law. It’s important to understand that even though there are things that you should leave out of your will, drafting your last will and testament is one of the most important steps one can take. The will identifies how you want your property and assets divided and who you want to get them when you are gone. While a will can include a variety of terms, there are some things that should not be included in your will. A will is often not located until after the funeral or burial. If you include these types of instructions in your will, most likely these wishes will not be discovered until after your funeral. It is usually better to convey your wishes ahead of time by speaking with the loved one who will most likely be responsible for handling this task or by purchasing a prepaid funeral/burial plan. A parent may think that leaving a large gift to a child or other loved one with special needs will ensure that the loved one will be able to live their lives to the fullest or that they will have the ability to receive all the care they need. The last will and testament is not the place to bequest an outright gift to someone with special needs. A person with special needs receiving public benefits often times can only have a limited income and limited assets. Anything over the designated amount can disqualify someone with special needs from continuing to receive benefits. There are certain types of trusts, such as a special needs trust, that specifically address the management of the specific needs of a person with special needs. The trust can be a standalone special needs trust or even a trust created within the last will and testament. This does not happen very often, but it could be that someone tries to make a gift that says “to Joe, so long as he uses my car to transport immigrants over the border.” Inserting an illegal purpose could invalidate the entire will. Life insurance, retirement plans, and financial accounts usually require a designated beneficiary be identified. Upon your death, those assets will be transferred to the named beneficiary, so they cannot be distributed by your will. Tenants by the Entirety and Joint Tenants with Right of Survivorship mean that when you or the other joint tenant dies, the survivor automatically owns the property in full. If a gift of joint tenancy or tenants by the entirety is made in a will, it will fail. It can’t be done. The last will and testament cannot make a gift of any assets that are owned by the trust. The property owned by the living trust automatically goes to the beneficiaries and is managed by the trustee. If you want to leave the asset to someone else or change the terms, it must be done by an amendment to the trust, not the will. Some people want to put conditions on gifts, and that can be okay, but one must be careful. Putting conditions such as “to Mary, so long as she marries a (insert religion) man” or “to Mary, so long as she divorces her bum husband” are not allowable and the will may be held invalid. Conditions such as “to Mary, so long as she finishes college” are okay. If you are going to take the time to create a last will and testament, make sure that your time has not been wasted. Speak to an estate planning attorney who will ensure that the will is drafted properly and will be upheld in court. Christina Miner is a Wills and Estate Planning Attorney with The Orlando Law Group. Her practice focuses on estate planning, guardianship, probate and trust administration. 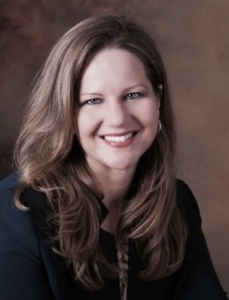 She has worked for private law firms, was assistant regional counsel for the Office of Criminal Conflict and Civil Regional Counsel – 5th District, and was senior attorney for the Florida Department of Children and Families. She earned her Juris Doctorate from FAMU College of Law, and earned her bachelor’s and master’s from the University of Central Florida. To contact Christina, visit www.TheOrlandoLawGroup.com or call (407) 512-4394. In today’s society, cell phones are like an appendage. People sleep with their phone by their side and rarely leave home without it. Unsurprisingly, police utilized this ever present companion as a significant investigative tool, with help from the Third Party Doctrine. In brief, the third party doctrine states that a person has no right to privacy when they voluntarily turn over information to a third party, such as a cell phone company, so the police do not require a warrant to access the information. But what about cell phone location data? Should a demand for a person’s location without a warrant constitute invasion of privacy? Such was the case while investigating Timothy Carpenter for a series of robberies at Radio Shack and T-Mobile. Mr. Carpenter’s investigation was not unusual; cell phone companies received tens of thousands of demands for location data in 2016. In June of 2018, the Supreme Court changed the rules of engagement in a highly debated 5-4 ruling; cell phone location data is subject to the protection of the Fourth Amendment of the constitution. The Supreme Court stated in the ruling that their decision was a narrow one, but it has tremendous implications for privacy in the digital age. Carpenter’s case before the Supreme Court brought to attention the hole in the 4th Amendment. Although the Third-Party Doctrine properly addressed the concerns at the time of its conception 40 years ago, it does not sufficiently rectify the growing rift between law and technology. Is Digital Location Tracking Invasion of Privacy? While deciding on warrants and cell phone tracking, the court’s also touched on individual’s reasonable expectation of privacy. Justice Sonia Sotomayor went on to say “Most Americans, I still think, want to avoid Big Brother. They want to avoid the concept that government will be able to see and locate you anywhere you are, at any point in time.” Justice John Roberts also described cellphone location information as “a near perfect tool” for surveillance. This does not preclude law enforcement from accessing this data, but it does require a warrant to prevent the acquisition of the location data from being invasion of privacy. Therefore, legitimate law enforcement tools are being eliminated, so much as safeguards are put in place for the population in general. If law enforcement could constantly track subject’s every movement with such ease and accuracy without legal implications, constitutional rights, such as freedom of assembly, would be heavily threatened. In this decision, voted on across party lines, the Supreme Court created a landmark decision which protects individual’s privacy in the modern era. Whether you are a member living within a development governed by a homeowners association (“HOA”) or a condominium owners association (COA) and interested in installing solar panels on your home, or a member of the Board of Directors of a HOA, COA, or its respective architectural review committees, (ARC), in Florida, it would behoove you to become familiar with Florida Statute 163. It is essential that you understand what F.S. 163 says about COA and HOA restrictions on solar panels in so far as its governance and application to energy saving devices such as solar panels and F.S. 163’s effect on the governing documents of your association. 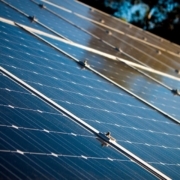 Clearing the confusion about COA and HOA restrictions on solar panels. As one would guess, the primary area of dispute in an association controlled development is not usually the use of solar panels or whether energy saving devices are permitted or not, but rather, where those panels may or may not be located on the roof of the home or condo. May the solar panels be seen from the street? May the solar panels face the street or fence line? These are some of the questions about HOA restrictions on solar panels that Florida Statute 163 governs and attempts to answer. Florida Statute 163.04(2) expressly prohibits homeowner and condo associations from preventing its members from installing “solar collectors, clotheslines, or other energy devices based on renewable resources from being installed on buildings erected on the lots or parcels covered by the deed restriction, covenant, declaration, or binding agreement.” Id. However, that very same statute and subsection does permit associations to “determine the specific location where solar collectors may be installed on the roof within an orientation to the south or within 45° east or west of due south if such determination does not impair the effective operation of the solar collectors.” Id. Recommendations for homeowners interested in installing solar panels in a COA or HOA governed community. Clearly there are limits to HOA restrictions on solar panels. With this being stated, it is recommended that even though the association cannot deny the homeowner the ability to install energy saving devises such as solar panels on their property, that the member should still follow the applicable procedures set forth by the architectural review committee before any such installation. In conjunction with this issue, the architectural review committee of each association should also develop a well thought out Solar Policy. This policy should address solar and roof energy saving issues within an application to be submitted by all homeowners/condo owners before the installation of such devices. The application should address, among other issues particular to your development, a satellite or aerial image of the roof with the proposed locations of the solar panels; roof slope and angles; north/south orientation; clear illustration of any shading issues; manufactures product information for the units to be installed on the home; and for those homes intending to install the solar panels on a street-facing front roof that is not within 45 degrees of due South and faces the street, an explanation of why installing the solar panels on the other available roof space would not be equal to or more efficient than, that the street facing roof. Ensuring that the home/condo owner and the association are all on one page and at least attempt to resolve any disputes prior to the installation process can potentially save both the association and member thousands in litigation expenses, noting here that F.S. 163.04(3) does award the prevailing party to any such litigation, its attorney’s fees, and costs. If you are a member of an association or on the Board of an association and are having problems with Florida Statute 163 and its applicability to your governing documents, please contact The Orlando Law Group and schedule an appointment to speak with one of our outstanding attorneys about your problems and concerns. As Aretha Franklin’s family might soon be finding out, failure to file legal documents prior to one’s death can cause turmoil. At a recent speaking engagement, I shared my own personal family story about the dangers of not being prepared for one’s own mortality – and how that lack of preparation effects one’s family. My grandparents, you see, were in a horrific car accident in 1994 in South Florida. My grandmother was killed on-scene. My grandfather was declared brain-dead. They had four kids, my mother being the oldest one. When they all went to Miami, they learned that my grandfather did not have a living will, or any documentation that said what he would want if ever in such a life-threatening position. So, as such, it was left to the four children to decide. After discussions, they agreed that my mother would make the final decision as to what to do with my grandfather. And after speaking with all doctors, and seeing that there was no possibility whatsoever for him to survive, my mother made the difficult decision to take him off life support. And then, after he died, one of her siblings said that — had it had been left up to them — they never would have done that. That sibling blamed my mother for killing my grandfather. More than 20 years later, there is still a rift in our family that was caused by that decision. Yet if he had a Living Will, then he would have been able to have made the decision himself, while alive. And that is what I tell people – that YOU are making the decision as to what happens to you. And in doing so, you are not putting that on anybody else. All you are doing is telling people to carry out your decision that you have already made, should that ever happen to you. I share that story because, unfortunately, most people tend to wait too long before they consider officially filing the appropriate documentation with regard to Living Wills, Trusts, and Estate Planning. So many of us wait, not thinking that tragedy will strike, and then when it does, we are legally all for the worse. It is not just the average citizen, though, that acts – and/or reacts – that way. It is the rich and famous, too. Aretha Franklin’s family will most likely be finding that out now themselves. The legendary singer, who passed away last week from a battle with pancreatic cancer at the age of 76, had no will or trust at the time of her death. Due to that inaction, Franklin’s family might potentially have a long legal road ahead of them – similar to when Ike Turner passed away. He, too, did not have a will, and his estate has been in litigation for 11-plus years. With regard to Aretha Franklin, the laws in Michigan say that her estate is supposed to go to her children. But since she did not have a specific will or trust, other relatives can technically come in and try to get something from her estate. By not having a Will in place, it opens the door for other people to come in and argue that they should have a piece of the pie. They can go potentially go to court and argue that they have an interest and deserve a cut of the estate. The cost to do so, though, is not just time. Many dollars are uselessly spent by families on attorney and other legal fees, in order to contest the estate and go through litigation matters. Depending on how much time respective attorneys need to put into various matters, it can cost thousands of dollars each year for families to go through the process. And how do those fees get paid? By monies held in the estate. Thus, the estate value lowers with each dollar spent on those fees. Throughout my career, I have seen too many examples of families arguing over what many would perceive as petty issues. I have heard of family members feeling like they deserved more money than was left for them, so they spent thousands and thousands of dollars on challenging the Will, with the case still being in court. I have seen families arguing with one another about estates that had nary a dollar in it. And I have seen heartbreaking cases where a young loved one passes away, and estranged family members receive monies that other family members feel that they do not deserve. And virtually all of this – be it with regard to the families listed above, your family, or even Aretha Franklin’s family potentially — could be prevented by simply finding the 30 minutes to visit with an attorney and fill out the proper Wills, Living Wills, and/or Trust documents. As for my respective family? Well, after both grandparents died in that crash, almost my whole entire family got Living Wills. And as for me? It helped lead me here, to help you with yours. Members of the media wishing to contact Christina or any other OLG attorney should call 20 A-M COMMUNICATIONS at (407) 917-20AM (2026). It may be difficult to ascertain what exactly has changed under the new Tax Cuts and Jobs Act and how these changes may affect real estate tax for home owners and real estate investors. This article will provide an overview of how the new Tax Cuts and Jobs Act will affect real estate, whether you own just your home, or you are a real estate investor, by identifying the information you need to know about each major provision. Effective on January 1st, 2018, homeowners can exclude up to $250,000 (or $500,000, if married filing jointly) of gains made from the sale of their primary residence, as long as the property was their primary residence for at least two of the five years prior to the sale. Under the new law, this exclusion may be claimed once in a two-year period. If you have sold or plan to sell your home after December 31st, 2017, this provision of the new law will apply to you and you must have used the property as your primary residence for the required two-year period in order to claim this exclusion. If you sell a home that was not your primary residence, then you will not be able to claim this exclusion and you must pay capital gains on the sale. This provision of the new tax law will expire on December 31st, 2025. Under the previous law, homeowners could deduct the interest paid on mortgages valued up to $1 million on their principal residence and one other qualified residence. Homeowners could also deduct the interest paid on a home equity loan or home equity line of credit up to $100,000. Effective on January 1st, 2018, homeowners can include interest paid on the mortgage for a new home valued up to only $750,000 in their itemized deductions, which is less than the previous home valuation limit. Furthermore, under the new law, homeowners can no longer deduct interest paid on home equity loans. If you are a new homeowner in 2018, these real estate taxation provisions of the new law will apply to you. If you are a current homeowner who took out a mortgage on or before December 15th, 2017, the new law will not apply to you and the previous $1 million cap will continue to apply. The previous law will also continue to apply to refinancing on mortgages taken out on or before December 15th, 2017, as long as the new mortgage amount does not exceed the amount of debt being refinanced. These provisions will expire after 2025. As for second homes, under the previous law, homeowners looking to purchase a vacation home could deduct mortgage interest on a second home, as well as on their primary residence, as long as the combined mortgages were under the $1 million limit. Under the new law, this is no longer permitted, and mortgage interest may not be deducted for second homes. However, if you purchased a vacation home prior to 2018, you may continue to take advantage of any mortgage interest deductions you were previously eligible for. Under the previous law, all state and local property taxes (“SALT”) were deductible in the federal tax filing with no limit. The new law only allows homeowners to deduct up to $10,000 for SALT, for both individuals and married couples. While SALT deductions are now limited, standard deductions have increased, and it may no longer make sense for homeowners to itemize deductions. Under the new law, the standard deduction for taxpayers doubles to $12,000 for individuals and $24,000 for those filing jointly. Qualifying property acquired and placed in service after September 27th, 2017, is eligible for a 100% bonus depreciation in the year it is placed in service. This first-year bonus depreciation has increasedfrom 50% under the previous law. Beginning in 2023, this rate decreases by 20% per year, until it is eliminated in 2027. Also new under the tax law is that 100% expensing is available for both new and used qualified property. Qualified improvement property includes leasehold improvement property, restaurant property, and retail improvement property. 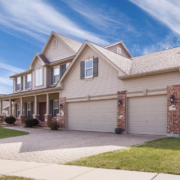 Section 1031 exchanges allow real estate investors to take the profits from the sale of a property and move them tax free into a like-kind property. This allows investors to exchange properties without paying capital gains taxes immediately, by deferring payment until the replacement properties are sold. This exchange is still allowed under the new real estate tax law for real property, although it has been repealed for personal property. Casualty Losses: Under the previous law, taxpayers could claim an itemized deduction for property losses that were not covered by their insurance and which resulted from events such as natural disasters and fires. The new law restricts this deduction to only allow losses resulting from a disaster declared by the president to be deducted. Moving Expenses: Under the previous law, taxpayers could deduct moving expenses and related travel costs. Beginning on December 31st, 2017, the new law eliminated this deduction through December 31st, 2025. The only exception to this provision is for member of the military on active duty who are required to move pursuant to a military order. While this article provides an overview of the how the new tax law, known as the Tax Cuts and Jobs Act, may affect your home or real estate investment business and how you, it is important to consult with your attorney regarding all of the factors that may affect you as the new tax law could have further implications on your personal situation.